Remote-experiments are real-life settings, built up at the Berlin Institute of Technology, with all devices (like power supplies, voltmeters, stepping motors, ...) connected to a PC. The computers work as web-servers at the same time, so everybody can get access to the experiments through a browser plug-in and gain control over all devices. Remote-experiments support authentic learning activities. Here experiences of personal relevance that permit learners to practice skills in environments similar to those in which the skills will be used are of great interest. This very basic approach is part of most practical course at universities. In Berlin our students have the opportunity, by using the experiments of the Remote-Farm, of gathering practical experiences in scientific labs, without the usual time, cost and safety restrictions. 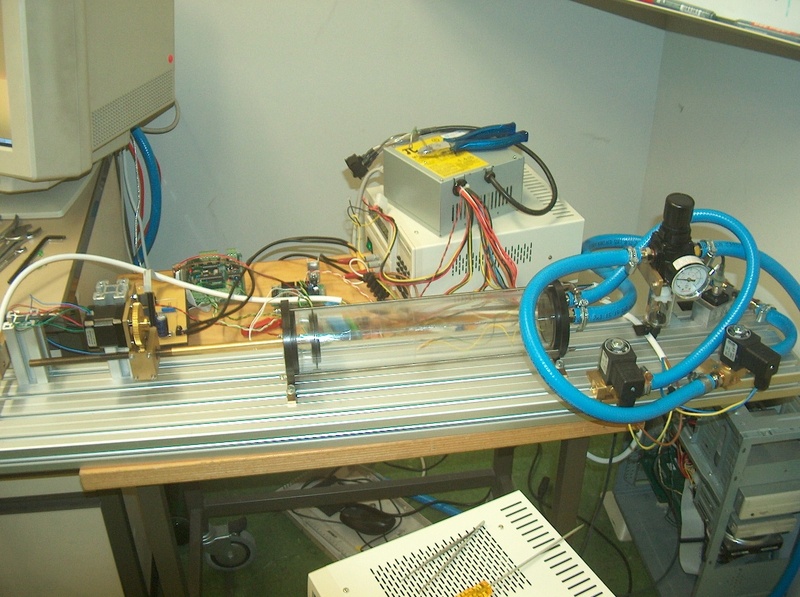 In Berlin the Remote-Experiments are used in undergraduate engineering courses. In our online practical courses with Remote-Experiments (OnPReX) the participants study the fundamentals of physical phenomena, perform the experiments in small groups with the help of available literature and an online tutoring system. The acquired data is evaluated and analyzed with suitable data processing programs and compiled to reports turned in to tutors via email. The pictures show two examples of our experiments. 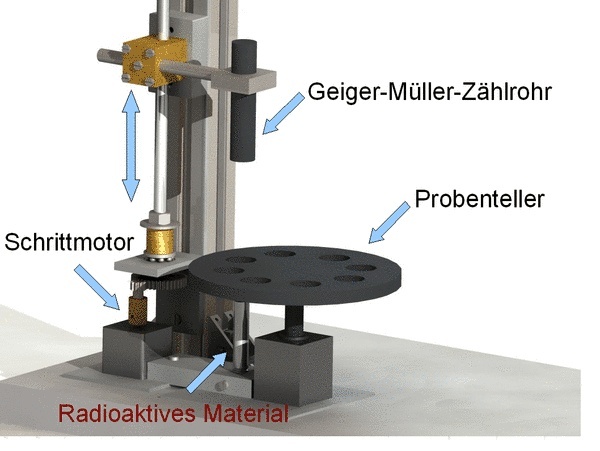 In the top-right a schematic view of the radioactivity-setup is shown. This setup enables persons, not able to deal with real radioactive sources, to perform the experiment from any Internet-PC in the world. The picture in the lower-left shows the design and construction phase of the Remote-Experiment on thermodynamics. Our experiments are set-up by physics and engineering students. For more information, please visit the Remote Farm website.